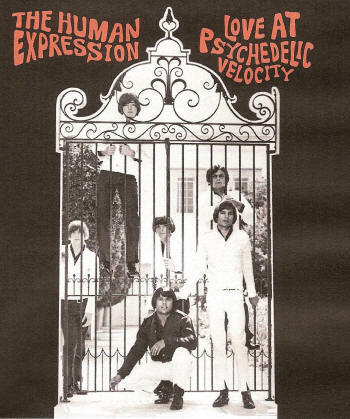 In 1966, four high school students from the Los Angeles suburbs formed The Human Expression, and by January 1967, their first single, “Love At Psychedelic Velocity” b/w “Every Night”, was released to an unsuspecting public. It was a dazzling, driving, opus of mind-bending sounds, and a harbinger of things to come. Their second single, “Optical Sound” b/w “Calm Me Down”, released in the “Summer Of Love”, was a two-sided tour de force, with brooding introspective lyrics by lead singer, Jim Quarles. The Human Expression’s edgy bad boy image was the antithesis of the “flower-children” image so prevalent for groups in 1967. 16 selections , 5 previously unreleased! All recordings from 1965 to 1967.